Stockists of Kyoto Bonsai and accessories. 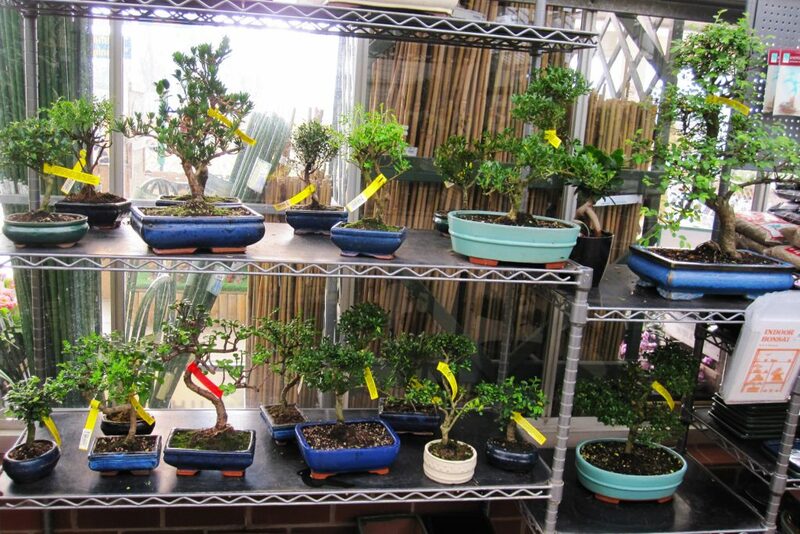 We have many different varieties of Bonsai in various sizes and prices from £9.99 to £125.00 all year round. Larger specimens can also be ordered on request (which may require a deposit). In addition, we stock a large selection of rectangular, oval, round, cascade and semi cascade glazed bonsai pots as well as rectangular and oval glazed saucers, plastic rectangular pots and saucers, compost, fertiliser, training wire, tools and books. 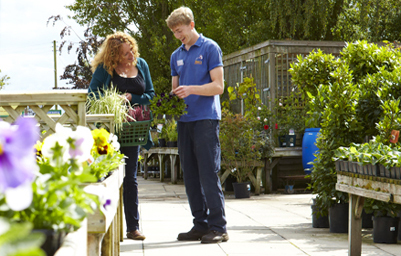 Free Bonsai Care leaflets are available and our knowledgeable houseplant staff are always happy to help. 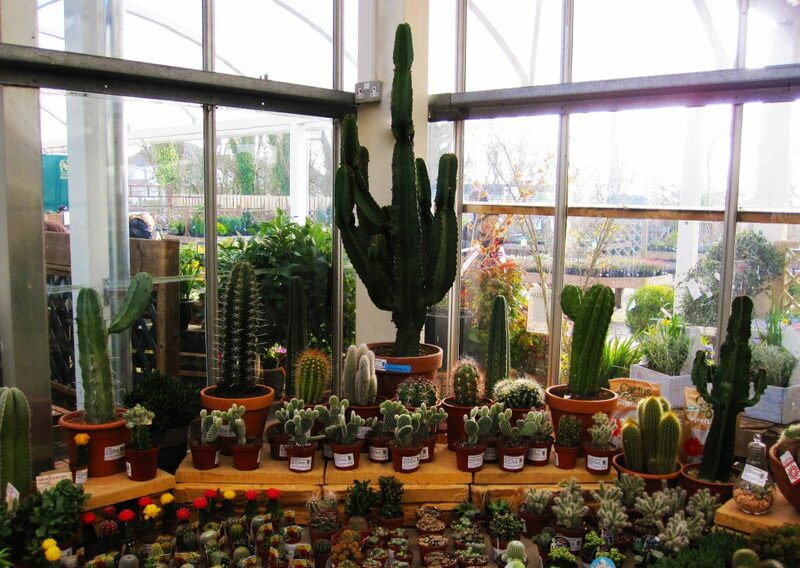 We stock a large range of cacti varieties and sizes. The following pot sizes are available: 3cm, 5.5cm, 8.5cm, 10.5cm, 12cm, 15cm and 19cm, as well as some larger specimen plants. We also stock a range of succulents which are available in 5.5cm, 8.5cm, 10.5cm, 12cm and 17cm pots. In addition, we have a good selection of cacti and succulent arrangements as well as Growth Technology Cacti Focus feeds and composts to keep your cacti and succulents in tip top condition. 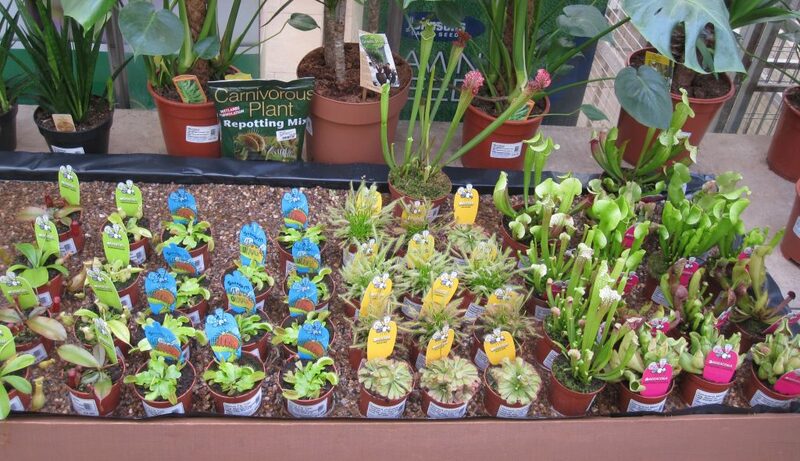 If you fancy growing a carnivorous plant from seed, we also stock a selection of carnivorous plant seeds and carnivorous plant compost from Growth Technology. 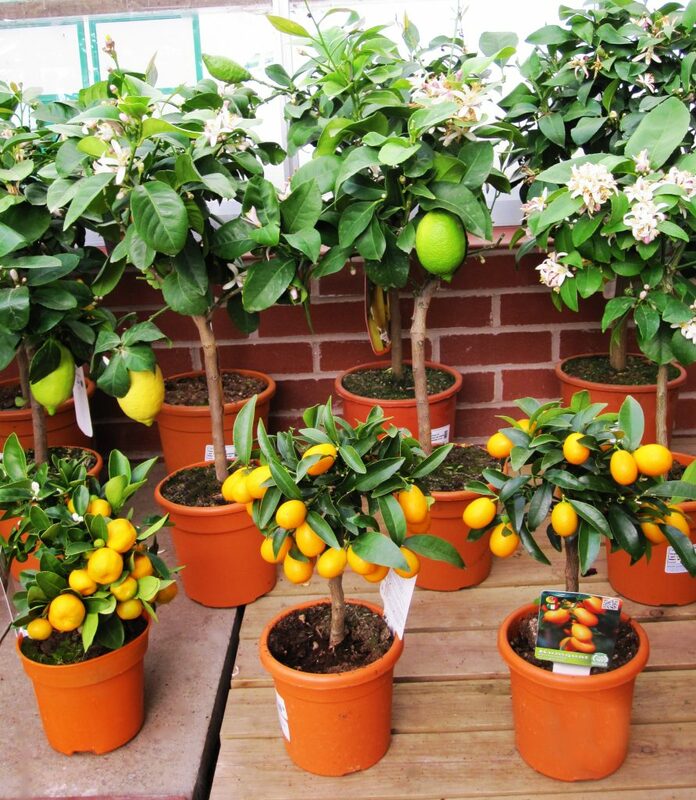 A large selection of citrus plants are available in the Garden Centre all year round, including lemons, limes, calamondin and oranges in various pot sizes and prices. The citrus plants usually have either flower or fruit already on the plant (with the exception of starter plants). We also sell other varieties such as grapefruit, kumquats, kaffir limes and mandarins at various times of the year, when they are available. Olive plants are also available between April and October in many sizes and prices to suit all. We have a good range of citrus composts and feeds from both Growth Technology and Chempak to keep you plants happy and fruiting. 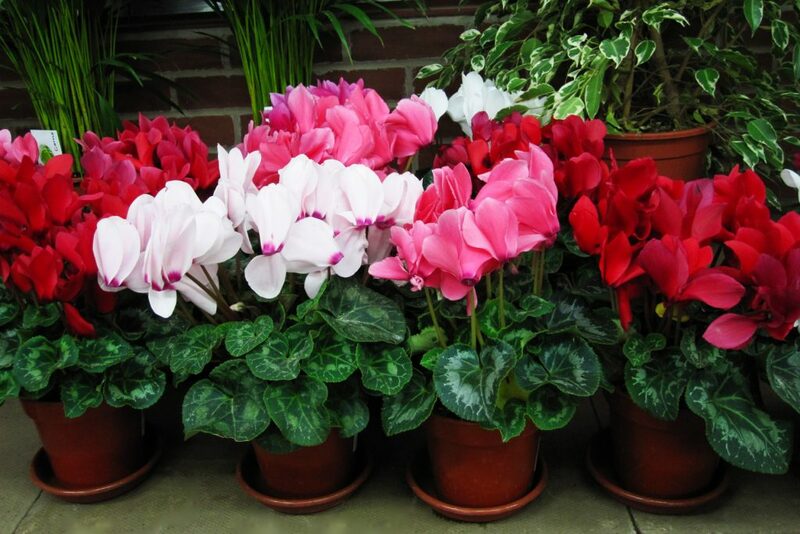 Our amazing home-grown cyclamen (pictured above) are available in two sizes from September to January (whilst stocks last). In November and December each year, we also sell a vast selection of British grown Poinsettias with over 10 different colours to choose from. 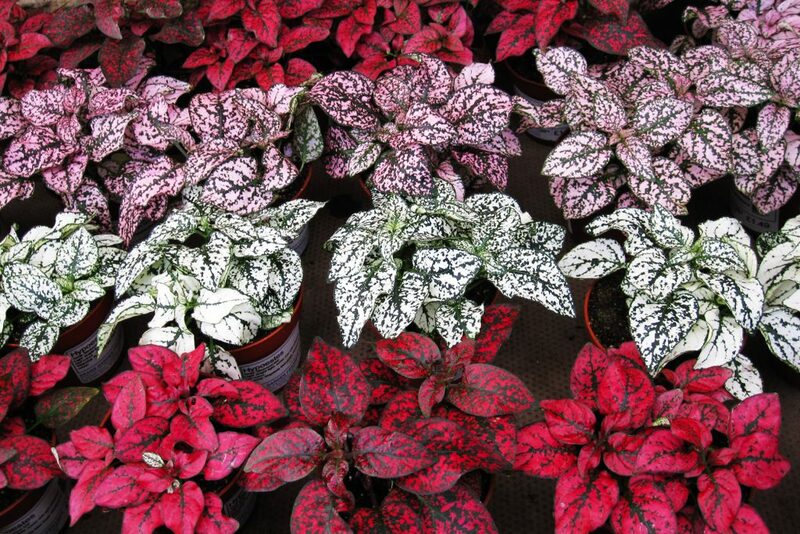 Our selection of foliage houseplants has something for everyone! We stock mini houseplants suitable for terrariums, to large specimen foliage plants like Dracaena and Yucca plants. We are also able to order larger plants, which combined with our selection of indoor self-watering pots are perfect for offices and indoor public places. If you have a small space, we have a wide selection to choose from in 9cm, 12cm and 17cm pots. 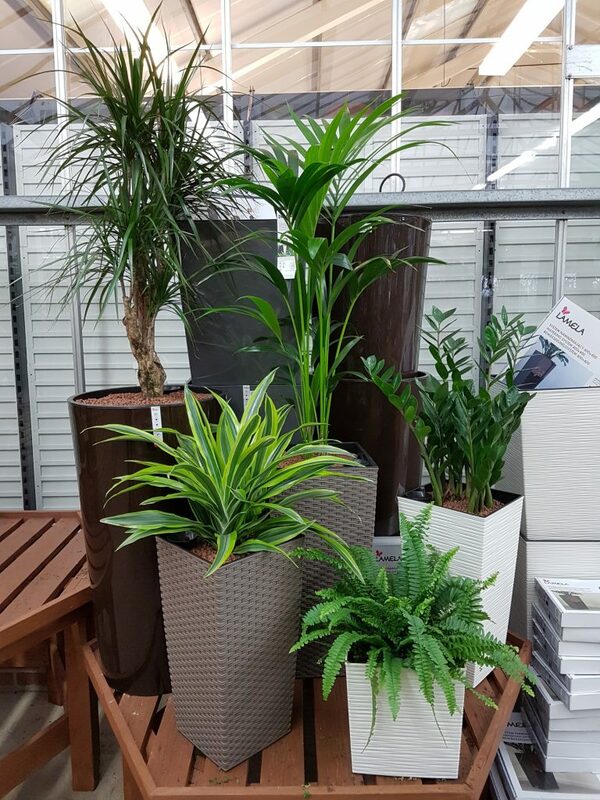 We even stock air-purifying foliage plants which have been scientifically proven to remove toxins and increase oxygen levels, which is better for relaxation and health. We stock a large selection of orchids throughout the year, from Phalaenopsis (pictured above) – which are available in many colours all year round; to more unusual orchids such as a Cambria, Dendrobium, Miltonia and Cymbidium. There are also many others available at different times of year, with fresh plants delivered every week. We also stock a large range of orchid accessories, including composts, feeds, pots, stem supports and books by Growth Technology. 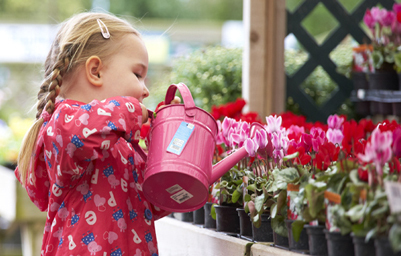 Free orchid care leaflets are available in the Garden Centre. 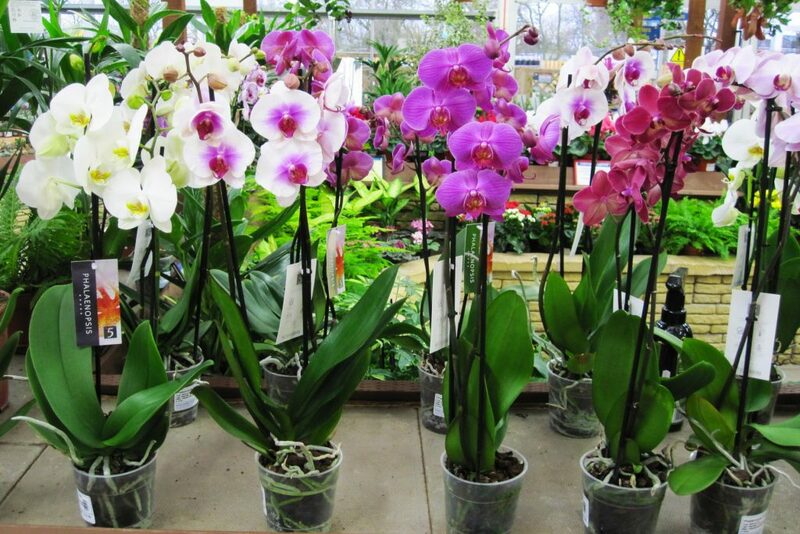 In addition, we offer an orchid repotting service (charges apply) by one of our expert houseplant staff. We are stockists of the multi-award winning Streptocarpus from Dibley’s Nurseries. 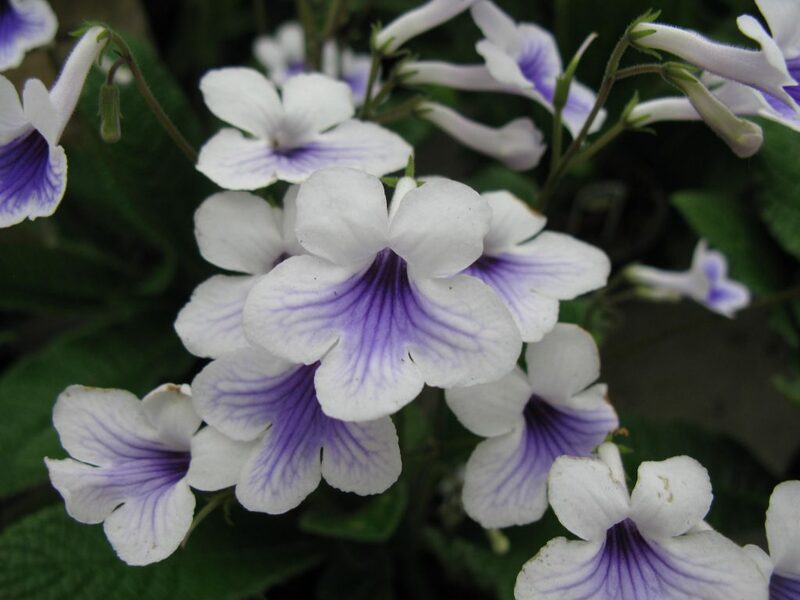 Streptocarpus are available from April to October, including new varieties and Chelsea Plant of the Year 2015 – Streptocarpus “Polka Dot Purple”. 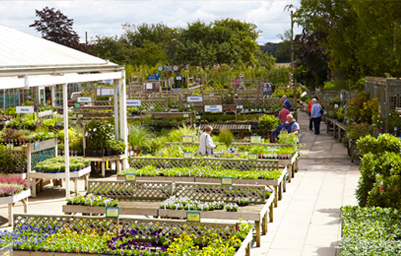 A large range of ceramic pot covers in many different sizes, styles and colours are sold in the Garden Centre. However, an exciting new addition to our range are larger indoor pots from Lamela (pictured above), which are available with self-watering kits (sold separately). These kits allow for easy and less frequent watering and feeding, which are ideal for those of us with busy lives or businesses looking to add some greenery or even air-purifying plants to their workplace. If you would like us to plant up and deliver your pots, please contact one of our friendly housplant staff for more information of a quote.